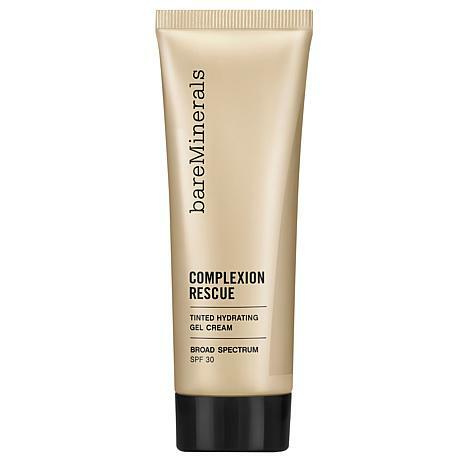 The best of a BB, a CC, and a tinted moisturizer, bareMinerals Complexion Rescue is a whole new way to think about makeup! This Tinted Hydrating Gel Cream SPF 30 formula offers skin-care benefits infused with naturally radiant color--in one easy step. Formulated for all skin types and complexions, especially anyone looking for lightweight, sheer-to-medium coverage with skin-care benefits and broad-spectrum SPF 30. Instantly, your complexion appears dewy with a healthy-looking glow. Squeeze a pea-size amount onto a brush, and apply onto clean skin in a gentle buffing motion. Layer for additional coverage at home or on the go. You can also use fingertips to apply to the skin. I was on the hunt for a CC cream that worked as well as one that's been discontinued. Just let me say I've only been using this about a week and already I'm blown away. I have a tendency to redness through the day especially if I'm working on the computer or if I'm in out in the cold and return indoors. This looks wonderful as soon as I put it on and doesn't change as the day goes on. I also have oily skin and my skin stays dewy but not shiny. Love it! I'm a bareMinerals girl for 12+ years, as always, their foundation is always on point, color perfect, does not clog pores, light coverage that gives you a natural no make-up look. 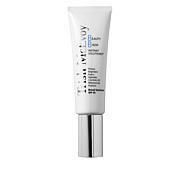 Great product, color and moisturizer together, WOW! I'm a very fair redhead and Opal is perfect for my complexion. The finish is gorgeous, makes my skin look fresh and hydrated. This is all I need but if I want a little extra coverage I'll mix with a drop of foundation and apply with a foundation brush for a beautiful finish. The SPF30 is an added bonus. Wish it came in a larger size! I have been using this for quite a long time. It goes on easily and has SPF 30. During the warmer months the I use this and finishing powder. I highly recommend this CC cream. Really cant understand why U hadn't try Bareminerals before, there was a situation with the packaging and like always HSN customer service help, I really like first the color, goes on naturally, gives like a certain glow and your skin looks so nice, I am using it everyday.